The program this year kicked-off with documentary DPs Joan Churchill, ASC (“Shut Up & Sing,” “Aileen”) and Buddy Squires, ASC (“Baseball,” “The Vietnam War”) taking the audience all over the world through visuals of their library of work. Martin Ahlgren (“Daredevil,” House of Cards”) and Igor Martinovic (“The Night Of,” “House of Cards”) talked about how TV has evolved to cinema-level of production. 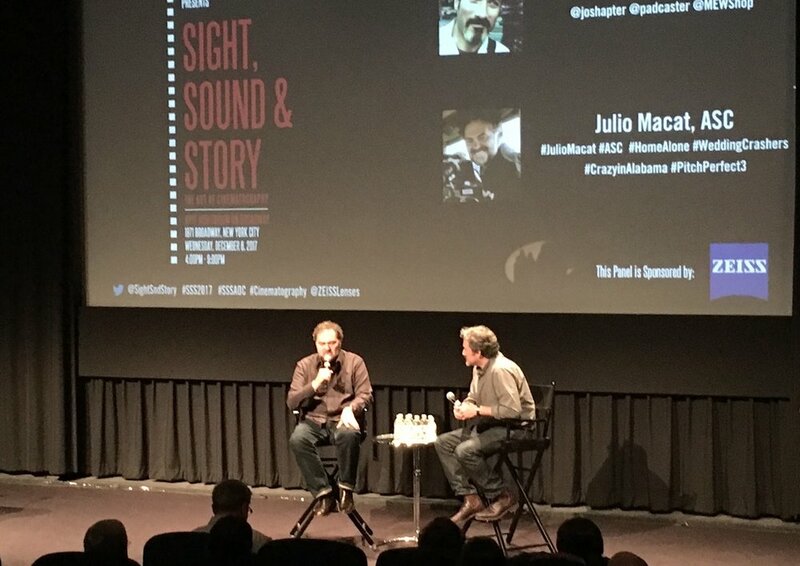 The closing panel featured acclaimed veteran Julio Macat, ASC (“Home Alone,”“Pitch Perfect,” “Wedding Crashers”), going behind the lens and discussing his long and distinguished career. Hugo Perez, David Leitner, and Josh Apter moderated, respectively. Tony Wisniewski, Marketing Manager at ZEISS Cine Lenses, wrapped up the event as, "a fantastic mix of industry veterans and aspiring filmmakers. It was a delight to meet and speak with people so passionate about the art of film and production." The 2017 Art of Cinematography sponsors included ZEISS Cine Lenses, Vimeo, Adorama, VER, Tiffen, ARRI, Glyph, OWC, and Padcaster. Sight, Sound & Story continues in 2018 with its Post-Production Summit on June 9th and The Art of Cinematography on December 5th. Visit www.SightSoundandStory.com for a collection of videos and more info. For more information contact Jason Banke at jason@mewshop.com.